As one of the oldest manufacturers of ammunition in the world, you can be sure that you're buying quality, reliable ammo when you choose Sellier &Bellot. 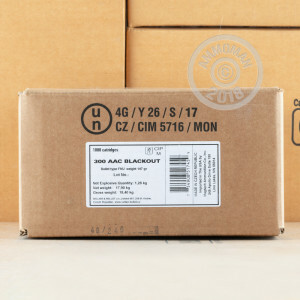 These 300 Blackout rounds are loaded with the highest quality components, and each carry a 147 grain full metal jacket projectile. 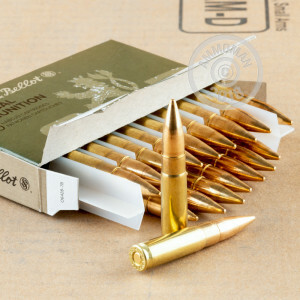 Great for range training, this box of 20 rounds is boxer-primed, non-corrosive, and are reloadable. Sellier & Bellot has been producing quality ammunition since 1825, and is a member of the CBC Group. Based in the Czech Republic, Sellier & Bellot exports to 50 countries and strives to use state-of-the-art technology. 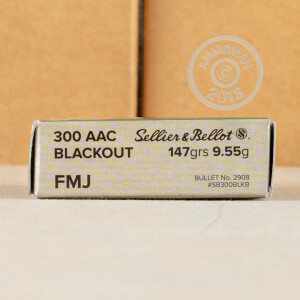 Get your 300 AAC Blackout ammo today! Don't forget, at AmmoMan.com all orders over $99 receive Free Shipping! So stock up and save!